Fredrick “Fred” Jones, Jr., Daphne Blake, Velma Dinkley, Norville “Shaggy” Rogers and Scooby-Doo make up the team of teenage mystery solvers who live in a small town called Crystal Cove, the self-proclaimed “Most Hauntedest Place on Earth”. The town’s long history of strange disappearances and ghost and monster sightings form the basis for its thriving tourist industry, and as such, the gang’s parents are not happy that their children are debunking all the supernatural goings-on that bring in so much revenue, as they prove over and over that the so-called supernatural creatures are merely the work of villainous citizens disguising themselves as part of complex plans for self-profit. And in addition to the traditional cases they always solve, the team finds itself being nudged into the uncovering of a greater secret that is hidden in the past of Crystal Cove, covered up by parties unknown. Following cryptic hints from a faceless mystery-man known only as “Mr. 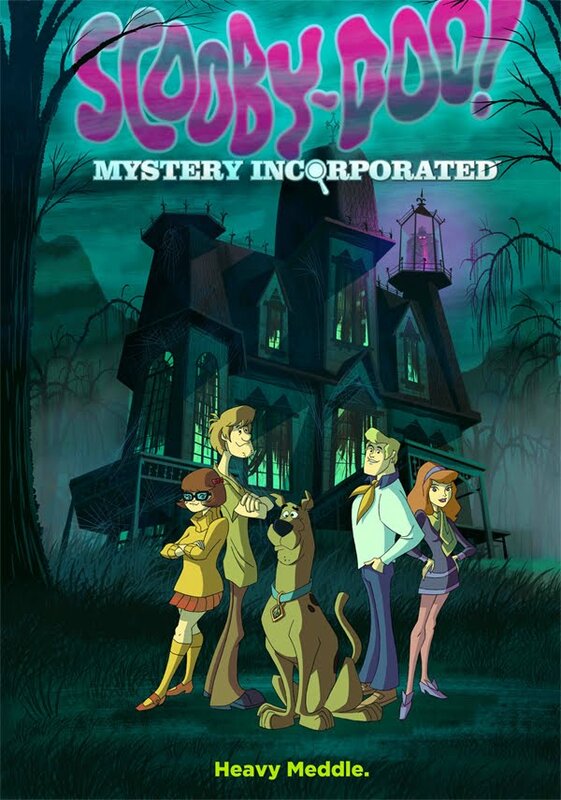 E” (a play on “mystery”), they find themselves caught up in the unsolved, decades-old case of the disappearance of four mystery-solving youths and their pet — the original Mystery Incorporated. However, mysteries are not all that the kids are faced with: romantic entanglements plague their investigations, as Shaggy finds himself being forced to choose between his longtime friendship with Scooby and his burgeoning new romance with Velma, and Daphne pines for a clueless, trap-obsessed Fred. As time in the show goes by, these problems will be resolved.